She was everything he ever wanted...if only she was not his best friend's sister.As any honourable gentleman knows, a friend's sister is untouchable. It is a code that Fitzwilliam Darcy has never had an issue with until now. However until now. However, Elizabeth Bennet might be enticing enough to risk not only disinheritance from his father and the displeasure of his entire family but also the loss of his best friend's trust. To Elizabeth, her brother's friend, Will, is as pompous as the day is long. However, he is also enigmatic, and soon, she finds herself drawn to his complexities. Unexpectedly, she falls hard and fast for this young heir of a vast estate, but at sixteen, she has never been in London society before and is new to all its deceptions and games. Will she be able to decipher who to trust or will her heart pay the ultimate price? 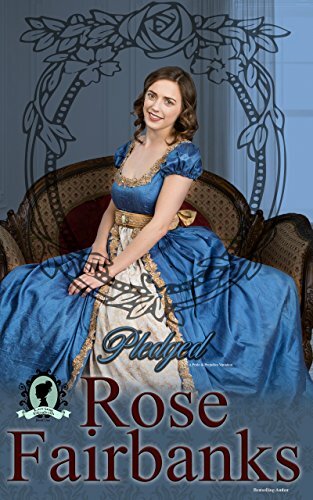 Pledged is the first volume in Rose Fairbanks' newest novella series, Loving Elizabeth. If you are a busy reader who likes stories of young lovers sprinkled with family drama and intrigue, this new JAFF series is for you. Buy your copy today! *Note this is a novella at 23,500 words and 150 pages as a paperback.